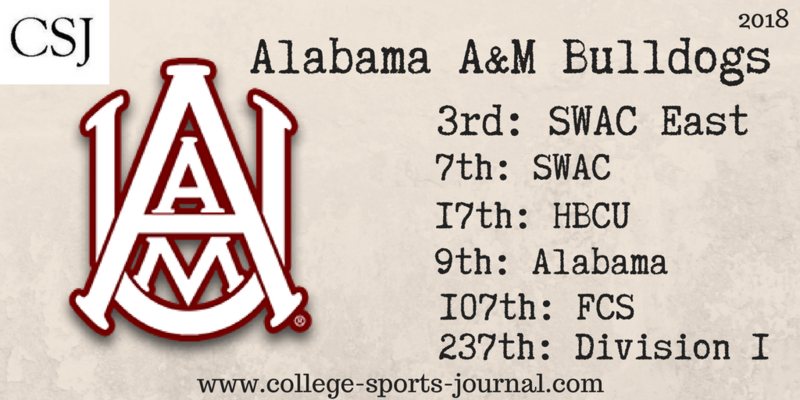 2017 In A Sentence: Alabama A&M finished just 4-7 overall last year and cost head coach James Spady his job after going 15-30 in his four years. Biggest Shoes to Fill: LB Kenneth Davis wrapped his career last year as an All-SWAC performer after tallying 75 tackles with 11.5 for those for a loss and added 5.5 sacks. Key Player: Vernon Moland returns for his junior campaign after a great sophomore year as a defensive end/linebacker. 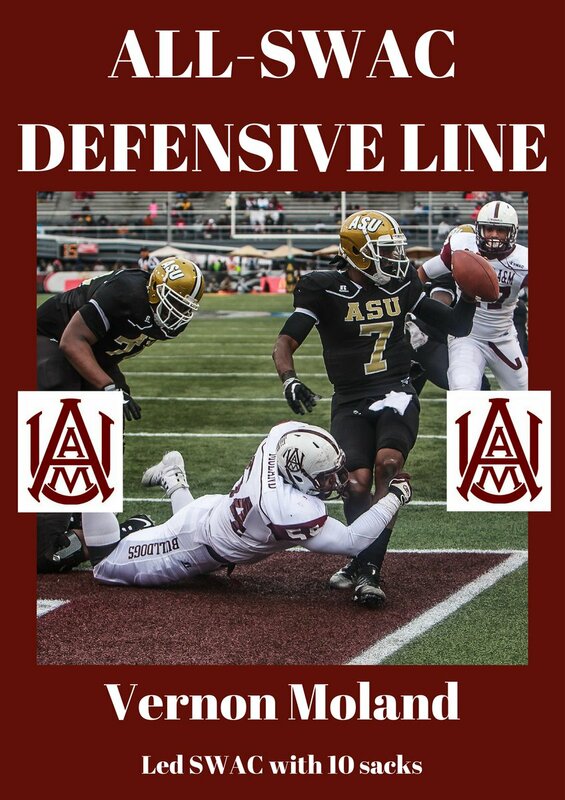 He was a first-team All-SWAC selection last year after leading the league with 10 sacks to go along with 35 tackles and 11.5 tackles for loss. Fearless Prediction: The Bulldogs welcome new coach Maynor and he inherited a wealth of experience on defense and on the offensive line. The play of an inexperienced quarterback will like decide if the team can grow beyond the four wins it had last year.